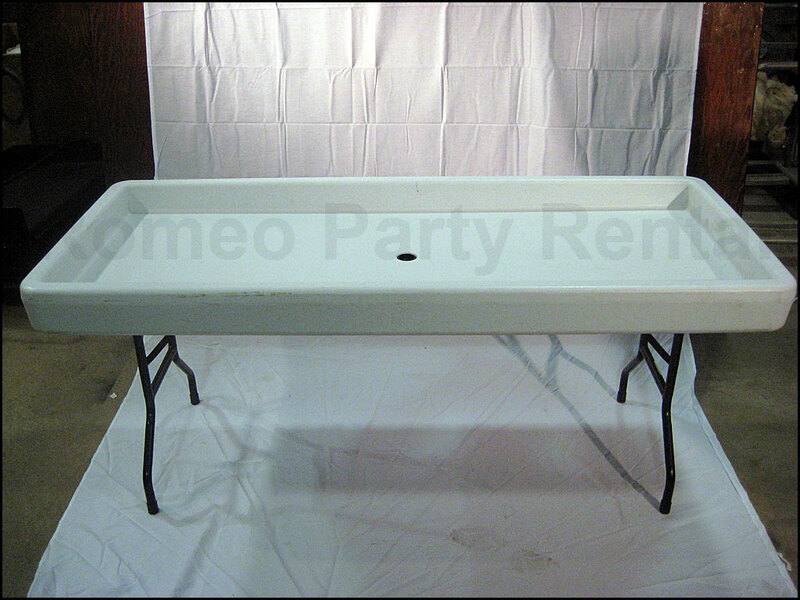 Dimensions: 6’L x 30”W x 4” deep. Table is on 4 legs – has bottom center drain. 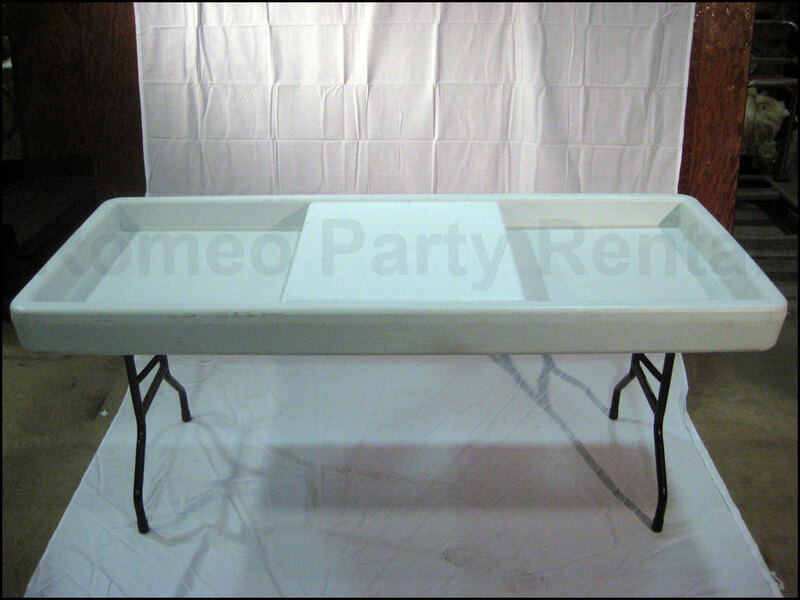 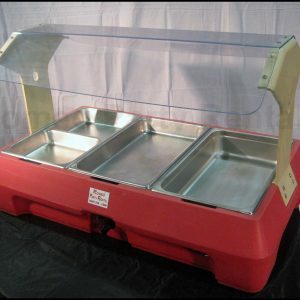 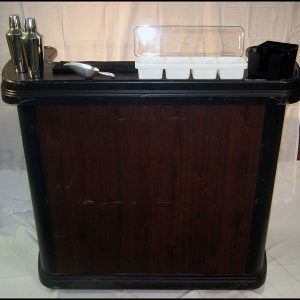 Fill with ice to use a cold food table or cold beverage table. 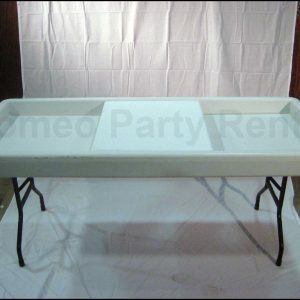 Usually takes approximately 10 or more bags of ice, possibly keep more on back up for when ice melts, drain out the water, and add more ice.